Home News The ICO’s of the future: Security through Investor Protection Shield. The future of crypto currencies is certainly very exciting, particularly as a new innovation has been announced for 2019, which is supposed to ensure that the crypto market experiences an upswing again: The so-called STO. STO is an abbreviation for Security Token Offering and describes a crowdfunding method, which gained popularity especially in the last months of 2018. Numerous experts are currently predicting that STO’s will replace ICO’s in the long run, which have come under enormous criticism last year due to numerous reasons. What is the difference between an STO and ICO? The difference between these two funding options is easily explained: ICO’s typically sell digital tokens to investors with the perspective that they will increase their value in the future. In most cases, these tokens are linked to the actual project in a certain way, whereby their value also depends on how successfully the respective project develops in the future. The first ICO to take place in 2014 was that of the well-known cryptocurrency Ethereum, although the crowdfunding method did not reach enormous popularity until 2017 when it generated more than $6 trillion in total capital for numerous projects. The current criticism of ICO’s, which can be observed all over the world, has to do with the fact that more than 80 percent of the ICO’s that took place in 2017 were actually classified as fraud. This was the result of a study conducted by the consulting firm Satis Group. This distribution was not extraordinarily contrary in 2018 either. 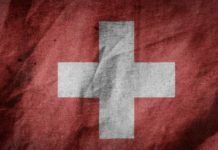 In addition, various regulatory developments in different countries, such as the US, have also contributed to the emerging criticism: the Security and Exchange Commission, for instance, published a statement stating that most ICO tokens basically qualify as securities, which means that companies offering them are actually breaking the law. This has to do with the fact that ICO’s mostly took place unregistered. This and other aspects have contributed to the development of the concept called Security Token Offering (STO). STO’s function similar to ICO’s, but provide investors with a variety of securities that already exist on the financial market: For example, purchased tokens can be linked to stock shares, natural resources, forex or even artworks. 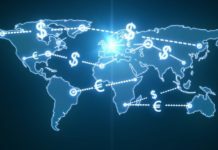 These securities could then be traded on the blockchain without any middlemen. However, STO’s are currently mostly an idea and have so far rarely been implemented in reality – but this is likely to change in the near future. This can also be seen in the fact that several projects have already announced planned STO’s, so we will soon see to what extent STO’s are actually a better alternative to ICO’s. 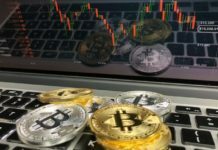 This article (https://finance.yahoo.com/news/theres-new-buzzword-crypto-sto-070042979.html?guccounter=1) on YAHOO! Finance is also an interesting source in this regard. ICO or STO: Which method is more trustworthy? This question can definitely not be answered globally: Although more than 80 percent of the ICO’s carried out in recent years had fraudulent backgrounds, there are still numerous initial coin offerings whose projects have developed extremely positively: NEO (NEO), Ethereum (ETH) or IOTA (MIOTA), for example, are worth mentioning here, as they are now among the most valuable crypto currencies in the world. This aspect makes it clear that ICO’s have always been a trustworthy, effective and profitable method of investing in various projects. However, the crucial point has always been which company, team and product is behind the tokens that are purchased. Examples of legitimate ICO’s can also be found in 2019: Worth mentioning here is the ICO of sky[nav]pro (SNP), an ERC20 token, which is operated by the renowned Dacher Systems GmbH (LINK: http://www.dacher-systems.de/) from Germany, a software company that has already been in business since 2005. Sky[nav]pro (SNP) is a project that enables pilots to access various real-time weather data at any time, to control navigation during flight and to avoid collisions. In addition, worldwide tracking & monitoring can easily be performed in real time. For this purpose, specific flight boxes are used, which are connected to the portable devices of the flight crew. These have already been manufactured in quantities of 100 units. 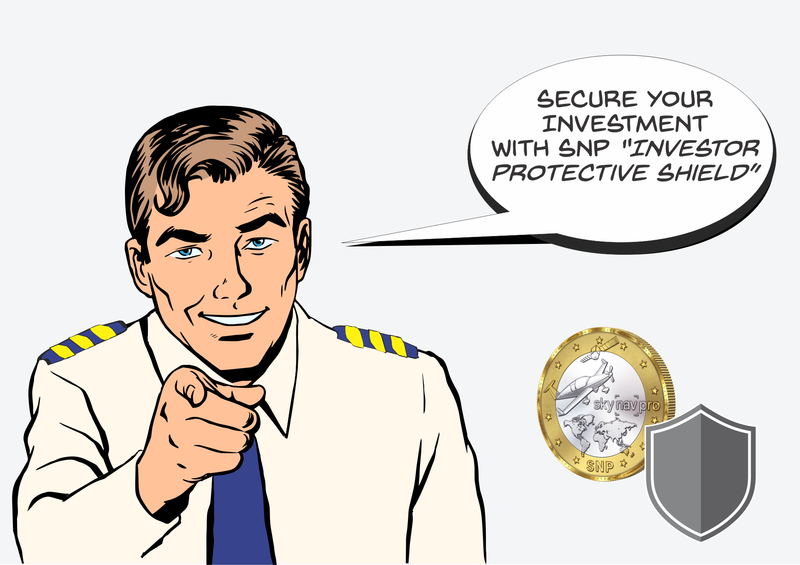 Sky[nav]pro (SNP) is, in particular, convincing because of its investor protection shield, which includes several principles and provides interested investors, for example, with the entire business plan of the project, in which every detail of the concept is specifically explained. Other aspects of the investor shield include the fact that the product has already been developed and tested by various flight schools over a period of more than 10,000 flight hours, the promise that all capital will be invested directly in the project, the fact that more than 12,000 pilots worldwide are already actively supporting the project, and the certainty that the ICO of sky[nav]pro will be carried out by a well-known, reputable German company that has already been on the market for many years. Dacher Systems is a GmbH according to German law, which acts conform to regulations of the German Federal Financial Supervisory Authority BaFin. These points represent only some of the elements that make the ICO Protective Shield of the project an extremely convincing feature of the sky[nav]pro (SNP) Initial Coin Offering. Sky[nav]pro (SNP) is therefore an excellent example of an ICO in the year 2019, which follows in the footsteps of various ICO’s which have been extremely successful in the past, proving even in times of the continuous trend towards STO’s that Initial Coin Offerings can not only be extremely efficient, but also trustworthy and profitable – provided that they are performed by respectable companies. The Initial Coin Offering of sky[nav]pro (SNP) is currently taking place on https://skynavpro.io as part of the pre-sale phase. Previous articleTradePlace: Introducing the Explicit Centralized Cryptocurrency Exchange Platform.